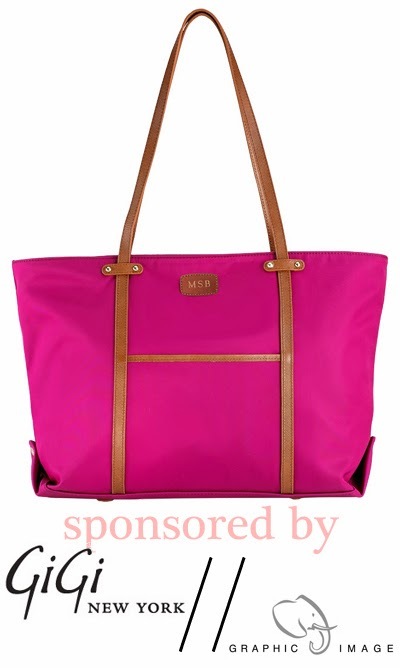 Enter to win this Graphic Image nylon tote, valued at $165. I am all about the monograms this year. I love the Nylon Tote! Thanks for the chance to win! And I'd get the Cobalt blue tote! I would have to get the cobalt tote!!! SO CUTE!!! These monogrammed goodies are about the best I've seen. Very desirable! This is so exciting and gives me idea's for Christmas! I would definitely love to win the pink tote! This is my favorite gift guide yet, everything is SO adorable! I like the cobalt and emerald totes, but the pink one you pictured here is my favorite! I'd love to get it in the pink or cobalt. Oh how I love GiGi New York and what an awesome bag! I love the Nylon Tote in hot pink! I'm between the charcoal and the cobalt. I think I would go with the blue tote! And I think monogrammed gifts are perfect for mom, sister, anyone that got married this year, etc! I do love the j crew hat! These are such cute ideas...espesh love numbers 1,2 and 3! The Cobalt is my favorite color! I would go with the cobalt! I would get the cobalt tote! I'd get the cobalt or emerald! gosh. i love the green and blue - but i might end up going with the pink to wear with my hunters! so many great colors for this bag and the seasons! I love the emerald nylon tote! I would get the cobalt! love the monograms & gigi new york! I would get the pink tote! I would totally get the green or black. I love!!!!! They're all so gorgeous, it would be difficult to choose between the Cobalt or Pink tote. Probably blue! Definitely pink...it's my signature color! Thanks! I love the cobalt blue! SO pretty!